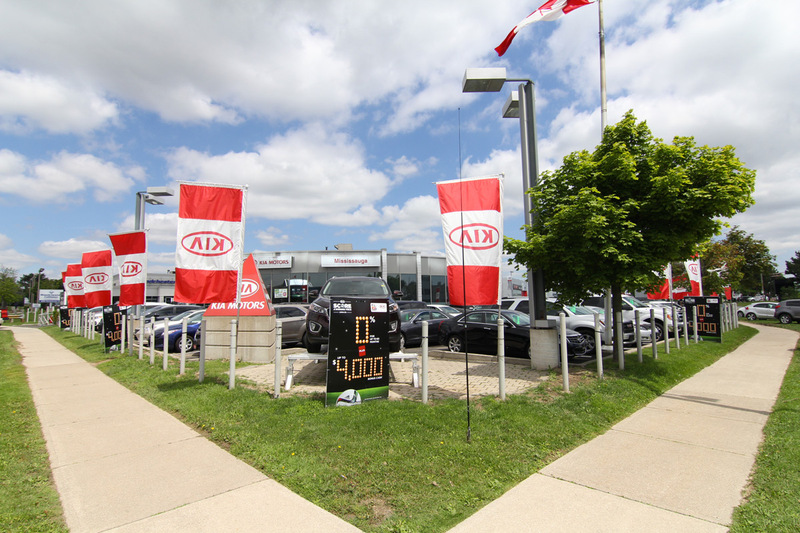 Serving the areas of Burlington, Brampton, Oakville, and Mississauga, Mississauga Kia is an acclaimed retailer of both new and used Kia vehicles. Professionally trained technicians, a dedicated sales staff, and friendly employees make this a great stop on the train for Kia shopping. Along with carrying an inventory of both new and used cars, they also have trucks and SUVs. While you are browsing through the showroom, make sure to pay special attention to the all-new 2017 Kia Sorento! Work with our finance department to get you on the road fast, make an appointment for regular service, and don't forget to check out our current promotions and specials.